More Red toys for the farm. A new red one to tinker with.. ????? is there something to look for???? 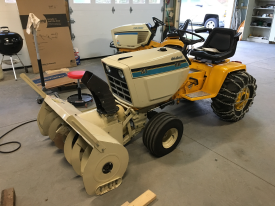 Just got a IH 2001 loader for my M!!! Metal seat parts color for IH Farmall 140. My 52 super M belted too a Meadows 20" grist mill. New addition too the family!